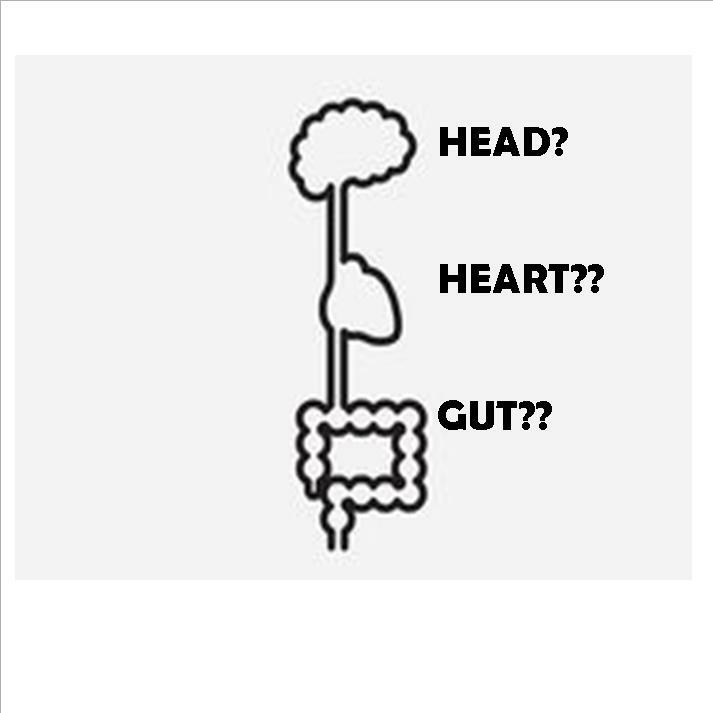 Friday Education: Brain, Heart, Gut…Listen to them all! As we kick off the beginning of the month of “love” 😉 we thought this article would be fitting. So interesting! Click here to view. Have a great weekend everyone! Scoop out meat of avocado, place into tall cup of magic bullet. 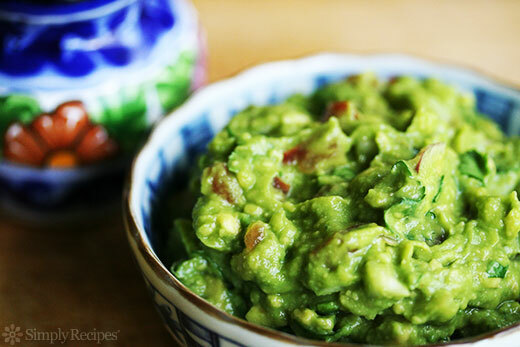 Guacamole tastes best when it’s chilled. 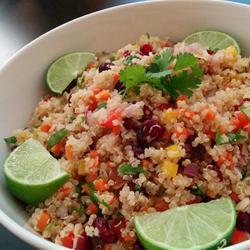 Serve with Organic Nacho chips, or as a taco or fajita topping. To keep from turning brown, store leftovers with slices of limes. 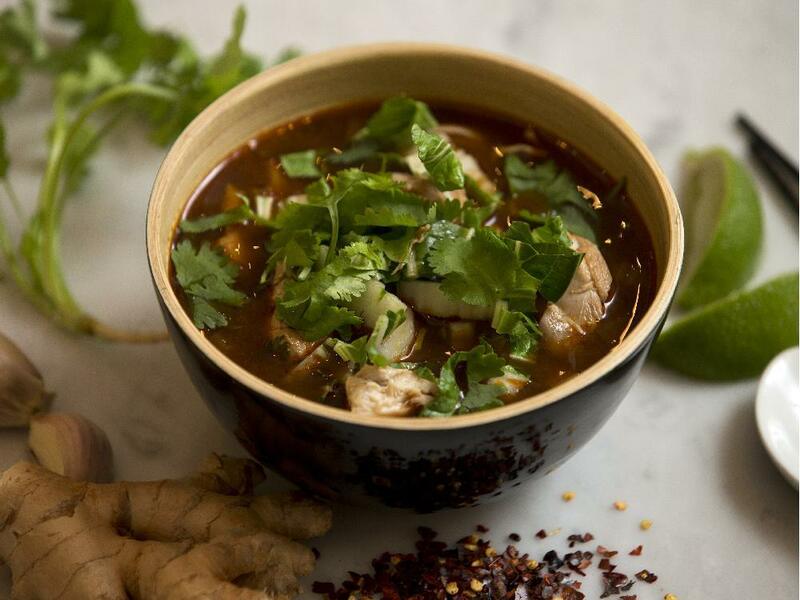 Add the broth, tomatoes, chicken, fish sauce, cilantro leaves, if using, and the salt and bring to a simmer. Reduce the heat and simmer, covered, until the chicken is just done, about 15 minutes. Remove the chicken; when it is cool enough to handle, cut it into bite-size pieces. Continue cooking the soup for 15 minutes longer. Meanwhile, in a large pot of boiling, salted water, cook the noodles until just done, according to package directions. Drain and add the noodles and the chicken to the soup. Add the bok choy; bring back to a simmer. Cook until just done, about 1 minute. Stir in the lime juice and chopped cilantro, if using. Hello All! We are half way through the week already 😀 Here is this weeks Progression Vlog! Ab time! 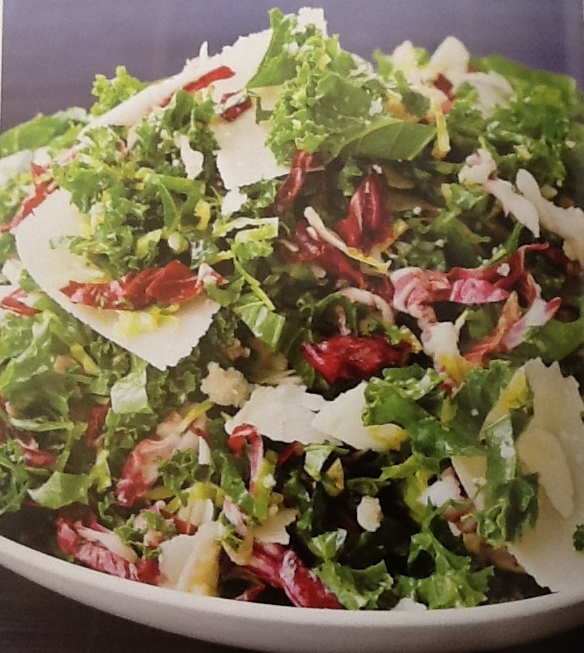 With a very sharp chef’s knife, cut the kale, Brussels sprouts (curly green cabbage) and radicchio crosswise in thin shreds, as you would cut cabbage for coleslaw, and place them in a large bowl. In a small bowl or liquid measuring cup, whisk together the lemon juice, olive oil, 1 teaspoon salt, and ½ teaspoon pepper. Pour enough dressing on the salad to just moisten it, reserving the rest. Shave the Parmesan in big shards with a vegetable peeler. Add the cheese and dried cranberries to the salad and toss it carefully to avoid breaking up the cheese. Check for seasonings, add more vinaigrette, if necessary, and serve cold or at room temperature.